Chili peppers: hate them or love ’em. Few could have imagined the impact of Columbus’ discovery – a spice in the XXVth century, so pungent that it rivaled the better known black pepper native to South Asia. In only a few years, the red chili was planted all over the globe after being brought from South and Central America. Today, it’s one of the most widely used spices in the world. But is it actually healthy? Many studies seem to contradict one another, so the debate is far from over. Some scientists claim chili acts against cancer and helps us stay healthy, but at the same time chili can hurt the inside of the stomach and esophagus and can even lead to internal bleeding. All foods have their good and bad sides, though, so probably people are more interested in the net effects of ingesting a certain food, be it chili or something else. 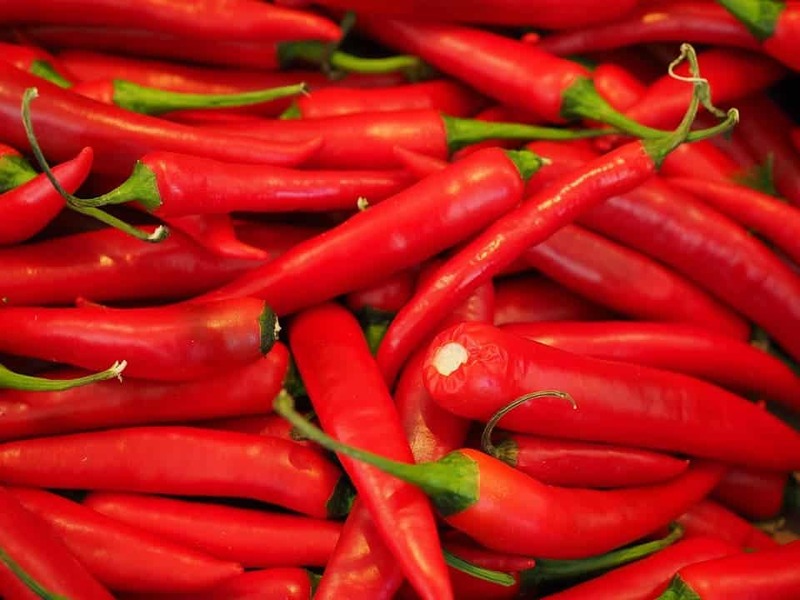 And finally, there’s a study that seems to suggest that, overall, hot peppers are our friends. That’s according to Chinese researchers who tracked the eating and health habits of 500,000 individuals and found those who ingested chili at least two times a week had a mortality rate 10% lower than those who only seldom ate it at all. 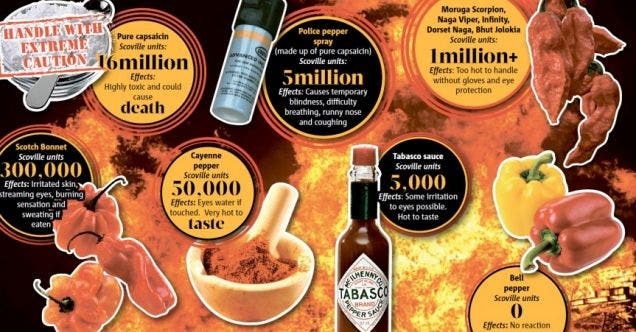 Those who ate the devilish spice six or seven days a week had an even lower risk of dying. According to Lu Qi, one of the study’s authors and a nutritionist at the Harvard TH Chan School of Public Health, people who ate fresh chili had a lower risk of death from cancer, coronary heart disease and diabetes. At the same time, if you have problems problems or stomach ulcers you should stay away from the peppers since these kill cells inside the stomach and inflammation. “The data encourages people to eat more spicy food to improve health and reduce mortality risk at an early age,” says Qi. What makes chili both hellishly hot and medically appealing is its main active component: capsaicin. Capsaicin can be a helpful component of a prostate cancer treatment plan because the substance is able to kill prostate cancer cells, according to the American Association for Cancer Research. Capsaicin may also help reduce the expression of proteins that control growth genes that cause malignant cells to grow. It’s also used a pain relief, although the hotness can sometimes seem like replacing one pain for another. Topical ointments and creams containing capsaicin are helpful in relieving pain from many different conditions, including arthritis, fibromyalgia, nerve pain and lower back pain. Others suggest using capsaicin to lose weight since it lowers appetite. Hot peppers are also good sources of antioxidants and vitamins A and C, although you’d have to eat lots and lots of them to get enough. Of course, not all peppers are the same and range from just mildly hot to satanic. The hotness of a chili is measured in Scoville heat units, or the number of times a sample of dissolved dried chili must be diluted by its own weight in sugar water before it loses its heat. A green bell pepper has zero Scoville units, while a habanero has between 100,000 and 350,000 units. The Trinidad Moruga Scorpion, the hottest pepper in the world, averages around 1.2 million Scoville units.